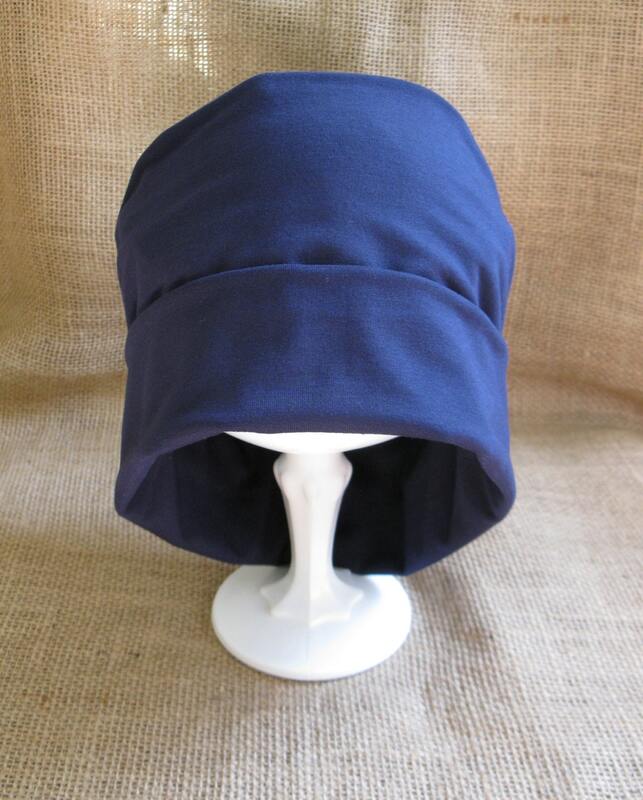 This Navy Blue Bamboo Chemo hat has been flying out the door - even before it became an official listing. 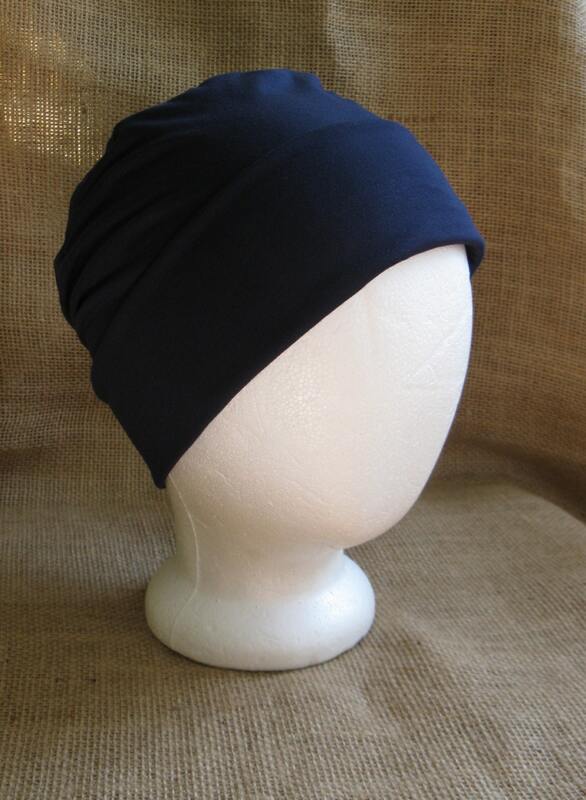 Made from organic navy bamboo this hat is super soft and silky, simple yet elegant. 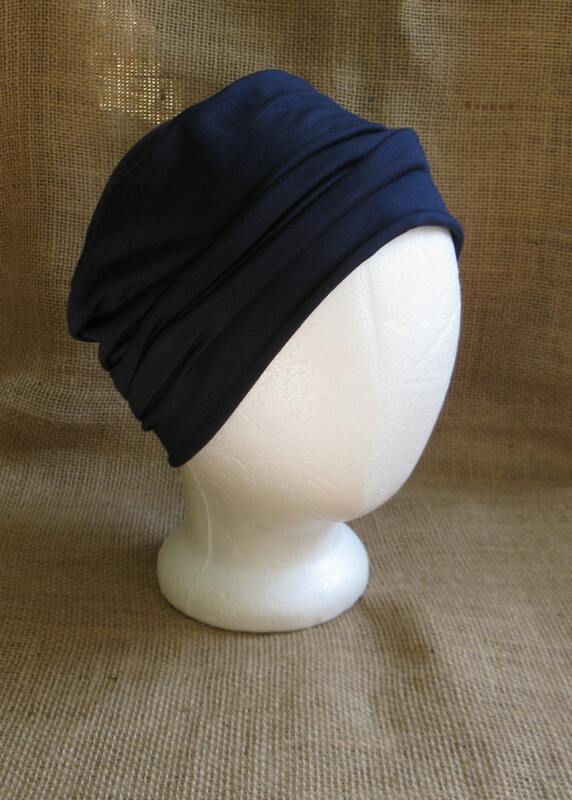 Silky soft, stretchy and breathable eco friendly hat that's soft and comfy enough for those undergoing chemotherapy treatment. Bamboo is perfect for sensitive skin. Bamboo is moisture wicking and insulating at the same time. 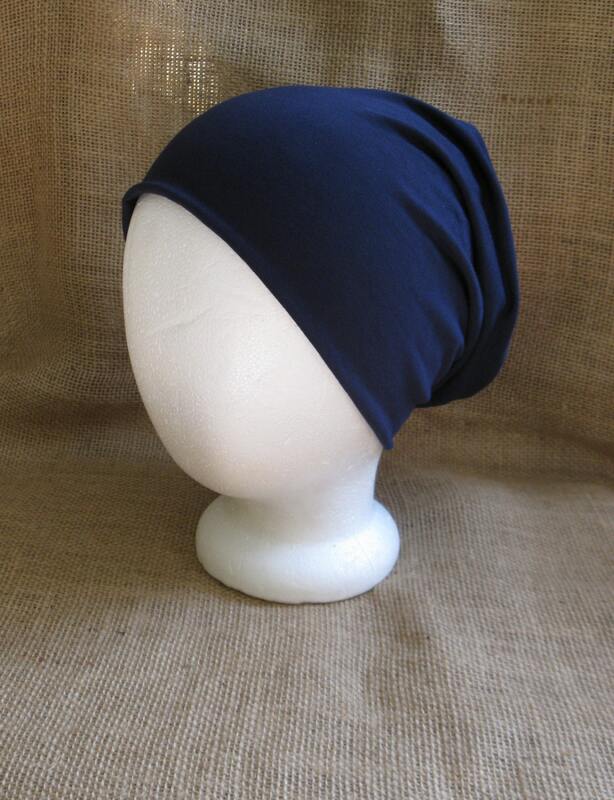 A great fit that can be worn three ways, rolled, scrunched up or as a slouchy. No matter how you wear your hat it always looks great! Handmade from high quality Bamboo material cut right from the bolt, a great choice for eco friendly, hypoallergenic, breathable and absorbency. A good Earth hat that is good for you and good for the environment. Came in time for Christmas, the material is cool and perfect for the patient. Great hat very soft and not tight on my head.